As soon as you mention that you work in IT one of two inevitable questions get asked. Either “Can you have a quick look at my Laptop” or “I’m having terrible problems with my network at home, what do you recommend”. The latter question is becoming more predominant with the increasing popularity of home broadband solutions, with the inevitable “free” wireless router. The key issue is that everyone thinks “wireless” is the utopian answer and their home will be seamless oasis of connectivity. The reality is however far from the truth, with laptops, tablets, smartphones, media devices and now the likes of YouView boxes all clamouring for the airwaves and struggling with security protocols and ever changing wireless speeds. Let’s change one perception, I am yet to find a house that can find it’s suffice of wireless signal in every room from a single free wireless router, usually installed in the main lounge or office. 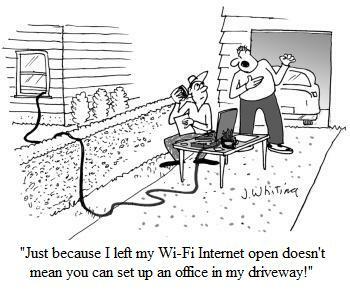 I gave up on this approach years ago, initially forgoing WiFi and wiring my PC’s and media devices to the router via what was then the quite new Power line communication devices. (Click the link to learn more about these, but in simple terms it uses the ring mains in your house to effect one virtual network switch using Ethernet signalling). This sufficed for a while, but as we know the advent of the Smartphone and then the Tablet was upon us and the need to have these wirelessly connected in the home presented itself again. This was OK if I was sat in the lounge to the most part, but I needed a solution that could feed the various devices being used by the family across all the rooms. I had due to various swaps and upgrades with internet providers a cupboard full of these free wireless routers. I did some research and found I was able to repurpose these devices into very flexible devices using a free firmware replacement called DD-WRT. This flexible firmware allowed me to configure these old routers and turn them into simple wireless access points which I could attach to the various power line devices around the house. If you’re not too daunted by the tech it is quite easy to “burn” the new firmware in following the website’s documentation. I mainly used old D-Link DIR-615 routers popular with Virgin Media at the time, but the firmware works on a wide range of hardware which are listed on the Supported Device Wiki. Whilst a bit bulky in each room and taking up two power sockets, this solution worked perfectly for a number of years for me. As I am always on a minimalist search when it comes to tech, I recently decided to look again at the progress in the power line devices. The speeds of these devices have increased to support the demand of HD media streaming and the like that a lot of households now present. A number of the manufacturers are now embedding a WiFi chip into the plug top devices. This effectively consolidates my customised DD-WRT routers into the plug top devices, and with some the inclusion of a passthrough socket means they don’t take up any main socket space. My current device of choice are a range from Solwise, and whilst they are yet to do the faster 500Mbps devices with WiFi I have opted for the 200Mbps device which comes with WiFi (Model NET-PL-200AV-PEW-N). You do need to configure each device with your wireless settings, but the guides are very good. I found direct purchase from Solwise the best price I could find. So my expectation is that the next generation of devices will be 500Mbps over mains speeds with built in WiFi (usually around 300Mbps) with the local ethernet port working at 1Gbps, and thus supporting the more recent desktops like Macs which come with 1Gbps Ethernet ports. 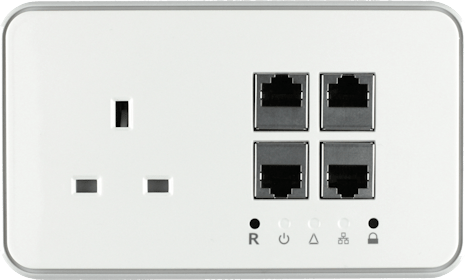 Power line devices are now a mature product and I fully expect soon that new build homes will come with network built in, in fact I recently spotted this product – Power Ethernet Socket – which would allow for easy conversion of existing wiring in a home. Just needs the WiFi chip and I’m sorted!